University has always been a pathway I wanted to pursue, I began looking at courses and visiting open days early to make sure I picked the right institution and understood enough about the courses I wanted to do. I have now completed my first year at The University of Brighton, studying Media, Industry and Innovation and after many points during the beginning of the year feeling like dropping out of my course, I am happy I stuck it through as I have finished with roughly a 2:1 (I’m still waiting on my overall grade). 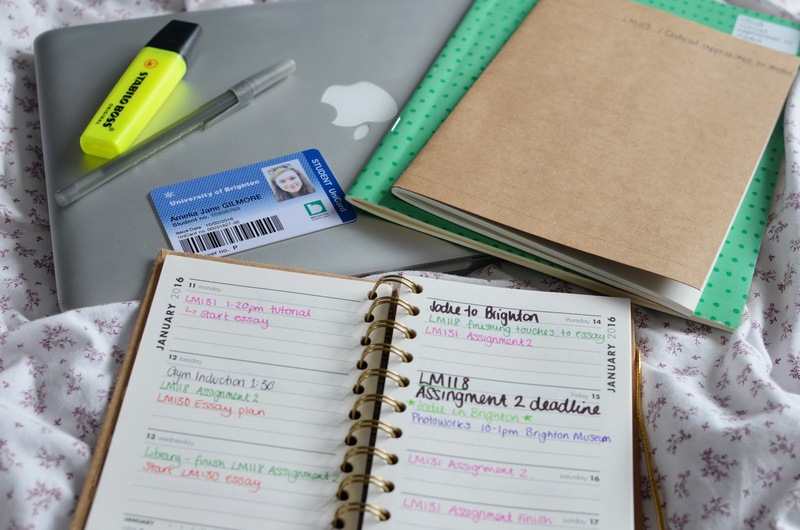 So I have put together a few tips that I would give to anyone starting university. This was the best time for me to get to know the people I would be living in a student house with, we all got along so well and gave us the opportunity to meet other people from our courses and campus. The freshers fair is essential, mainly for all the free stuff you’ll get although its main purpose is to give you the chance to sign up to different societies and sport teams. Our freshers lasted 2 weeks, and with a prepaid wristband we got free entry and discounted drinks in the majority of clubs and bars around Brighton. As going out is not for everyone, most university’s have other events organised that don’t include drinking. I saw many of them offered on my freshers timetable, from movie nights to live music there was something for everyone. I signed up for a few societies at the freshers fair but my biggest regret is not attending the first social, as a fear of turning up on my own. My biggest tip to anyone in that situation is just go! Maybe take a course mate or housemate along for the first one, but missing out on future socials because of my anxiety of attending the first one alone really annoyed me when it go too far into the year to attend. Im going to change this in second year and actually join a society, as they give you so many opportunities to meet new people and they organise so many events. I found other ways around this by going to house parties or nights out as a plus one and getting to know different people, this worked out well for me as I met one of the loveliest girls in Brighton, Lauren. If we’re not getting bagels together then we’re probably in a Flour Pot Cafe catching up over a latte and a hot chocolate. I found it hard to find a stable part time job as none of my housemates worked in Brighton, and so I was very unmotivated to find something during freshers. I ended up starting a job in February after going home to work a few times at my previous job to get some money. Although I had found something, I was not getting the hours that they promised, and therefore I was not earning and each payday I was still in my overdraft. I had left it too close to the end of the year to start a different job, so had to leave and move back home earlier than expected to work over summer. If you are starting first year knowing that you will need some part time work, apply as soon as you get to uni! It might not seem like it but so many students will be looking for jobs in the same city as you, and if you get there first you will have time to find something else if that job is not for you. Money is not an easy subject to talk about at uni, there will always be students that have more, and there will be others that have less. I budgeted my maintenance loan well, as I kept this in a separate student account that would just be spent on rent. I knew exactly how much money I had to put in there each month to be able to make the rent until the end of my tenancy. My first account on the other hand that was used for food and going out and was not budgeted, sometimes I would spend £20 on food and alcohol and then by the end of the month I would only have £10 for the remaining week. If you feel you might get into this position work out a limit of how much you will need to spend each week. Budgeting money for food shopping, going out, uni supplies and transport. If like me you take a car to uni, work out roughly how much petrol you use a week and then you can budget that as well. (Although this was nice bonus for me, as I could do town and university lifts to make a little bit more extra cash each week) Also take advantage of your student discount, and shop in discount stores and supermarkets such as Lidl and Aldi. Its inevitable that you will start your first term with freshers flu, so make sure you look after yourself and eat properly. Resist the urge to buy ready meals and instant noodles when you go food shopping, and cook meals from fresh. I found it hard to be inspired with my cooking so pick up a student recipe book before you go to give you a few ideas. I also found the slimming world magazines and website useful, although I do not follow the eating plans they have some amazing recipes that are really easy to follow. 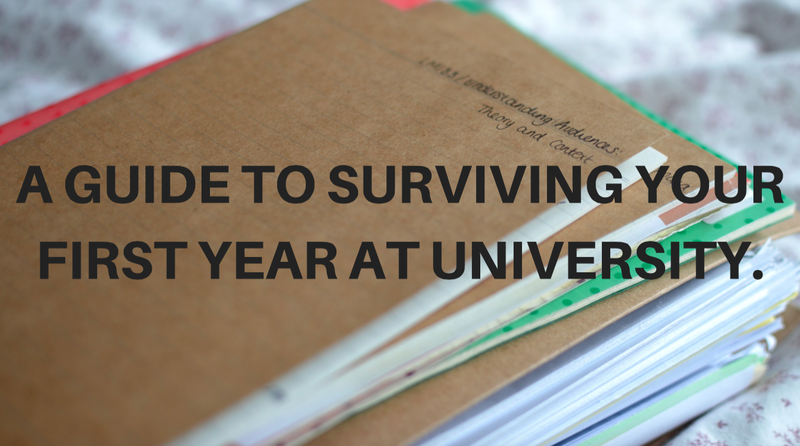 So those are just a few tips for anyone going into their first year of university and moving away from home, but most of all make sure you make the most out of the whole experience, it will pass by quicker than you expect.